Alphabet Photography Project: H is for Honour | Phil – Refuelled! I took this picture only yesterday (14 November.) 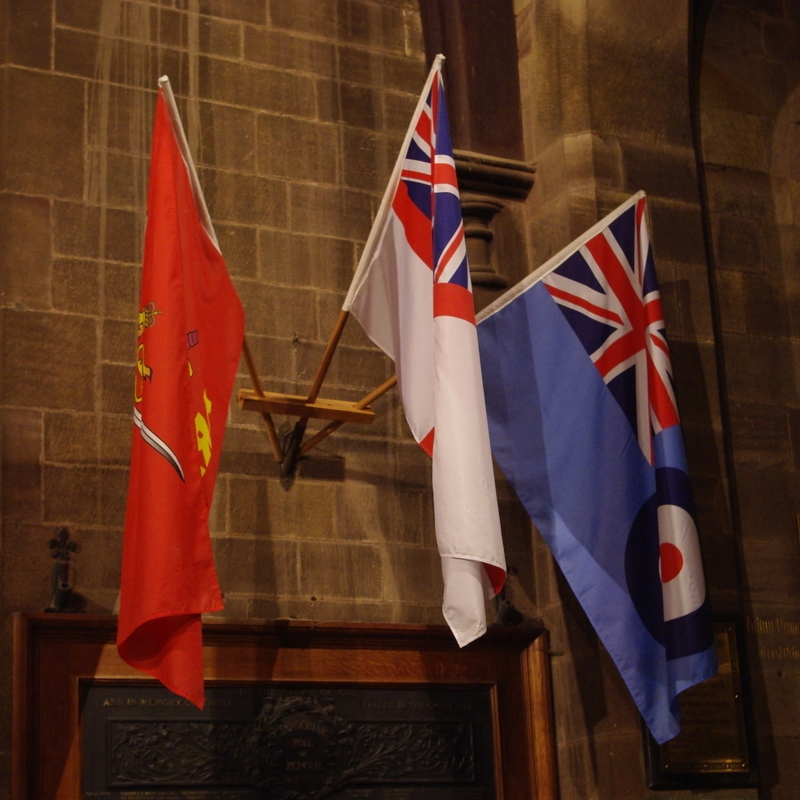 These flags of the three armed services were displayed in a church, above a ‘roll of honour’ board, as part of the commemoration of Armistice Day. The silent drape of the flags – not even blowing in a fresh breeze – only seemed to intensify the message. This post continues my response to the Alphabet Challenge.